It's the future, and humanity is worn out. Hajiki's struggling to make ends meet on the hard-luck streets of Night Town, where everyone is fighting for the same thing: the Gad. 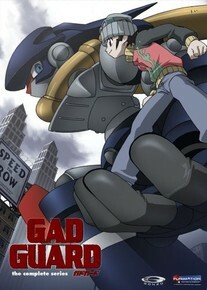 If you've got a Gad, you've got the power of a robotic Techode at your disposal. And if you've got a Techode - you've got a chance. Hajiki is about to find out just how much life can change when machine and man form an incredible bond.